Michael Singletary is a versatile artist working in styles ranging from collage to more photo realistic figure painting. 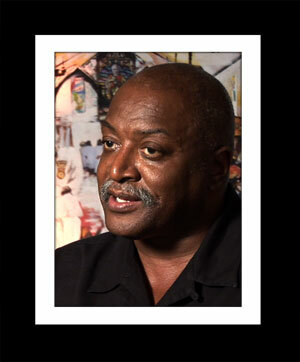 His works represent a great array of the Black experience in America. His pop art has gathered much critical acclaim and his works have been showcased and published in several collections over the years. CBS’ Dan Rather lauds Singletary’s work as “an impressive breadth of human experience, which never fails to move with the vibrancy of life.” Singletary credits his versatility to an early start. He also credits his variety in subject matter to an early exposure to a deep span of human truth, stories his relatives would share of the disheartening realities of the south, and often racially charged social interactions.